Leg pouch now has gripper pads on the inner slide of the belt to keep the leg pouch from slipping during wear and the pump pouch slides freely on the leg belt allowing you to adjust the leg pouch for a customized fit. Unisex pouch for comfortable and discreet wear under trousers, dresses and skirts. Pump fits snuggly in pouch. Belt has a velcro closure. One size fits both 5 and 7 series pumps. 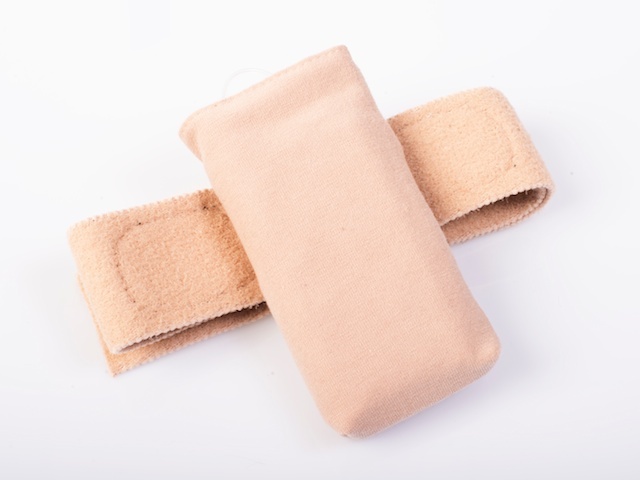 The elastic velour stretch band feels comfortable against the skin.